Well Ben and I have had a tough past few days. As most of you now know, I was in the ER most of Saturday Night and Sunday Morning with a Kidney Infection. I was hooked up to an IV, given some extremely strong drugs, and run through a CT Scan. I was sent home with several medicines and slept all of Sunday and Monday. When I woke up periodically, my head throbbed and I had flu-like symptoms and just felt awful. On Tuesday I finally thought to check my temperature and it read 104.1 at one point. Ben came straight home from work to take me back to the ER. After 4 hours of waiting and not seeing a doctor, my fever had broken and my head was settling down. We left, only to be woken up around 5:00 am the next morning with the same problem. We called the ER to make sure I could actually get in this time, and after they confirmed that there was no wait, we headed back to the hospital. This time I got right in and they hooked me back up and monitored me giving me multiple drugs to help with all the pain, nausea, dizziness, and fever. Just after 8:00am I was released to go home with a new set of stronger antibiotics to control my infection outbreak and instructions to stay home on Tuesday and Wednesday from work at the very least. I am back and at 'em today - well kind of. I have at least showered and gotten out of the bed. I made it in to work today but was only able to do a mild amount of work. I basically just caught up on all that I missed and rescheduled everything else that I abandoned. I hope to be full force after this weekend and really get myself back together. A great big thanks is due to my male nurse, Ben Jones! He was wonderful and served me whatever foods my heart desired. He also made me Mom's homemade soup. There has never been a more loving and thoughtful husband than mine. Ben and I want to say a special thanks to all the family that has made our new home possible! 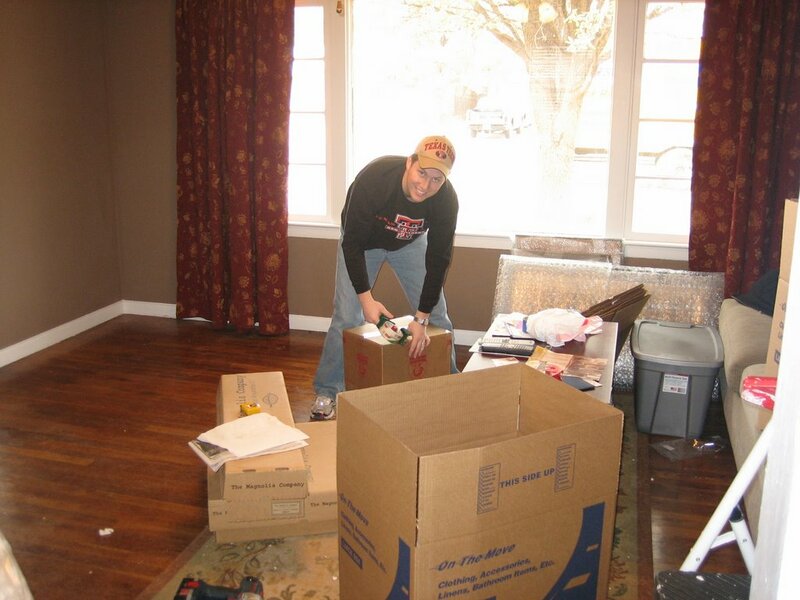 Mom, Lonnie & Wes: We appreciate your help packing our house in Lubbock and for th e muscle used to lift all those boxes and heavy furniture into the moving truck. 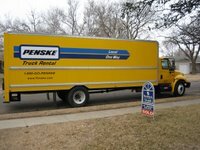 Bobbie & Farron: You not only helped us unpack the moving truck into storage but you also housed us for all those months we were searching for and waiting on our new house. Thank you also for your help painting our new house, Bobbie. 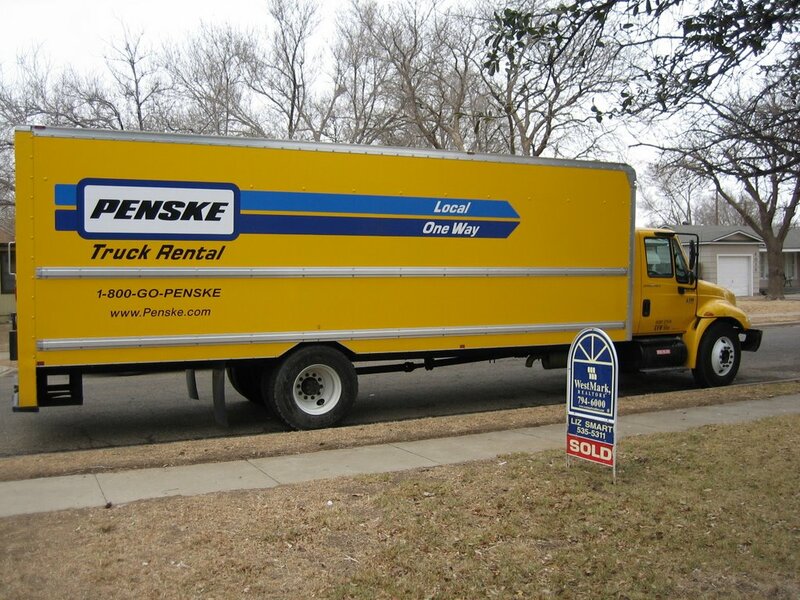 Dad: Thank you for helping us during the middle of a work week to move our belongings out of storage and into our house. Man was it ever hot! We have been blessed by loads of support and amazing generosity from all of our family and friends. We are so grateful for the part you ALL did to help us make this life transistion. We have the best family and friends and will always be indebted to you. My Dad, Jodie and the Mudbug have been visiting our house the past couple of days. They got to Dallas on Tuesday evening and treated us to a shrimp boil. We could have kept eating all night but decided we had better stop for fear of making ourselves sick. (Penny, we needed you here to show us how it is supposed to be done!) But of course, Kylan, Khaki, and Patches were our main sources of entertainment. They had a blast playing. Kylan has a mean arm and kept Khaki busy retrieving her toys. Honestly, I think Kylan would have been content just playing in the dogs' water bowls if we would have just left her to it. The three are heading off today and we wish them a safe trip back home! We are so glad to be in a central location so that we can visit more of our family more often. We are so thankful for all the visitors we have had the past month as we have moved into our new house in Allen. We hope to get settled into our house over the next few months and then return the favor if you'll have us. Any of our friends and family that we haven't had the chance to see yet - we are looking forward to a visit from you too! We are excited to have you all come and stay a few days even if you are just passing through. I have decided that I am not hip... I never will be... I hate text messaging and don't understand why people don't just call instead... I only have a vague understanding of what a Blackberry is and have absolutely no need for it... I don't have an account on My Space... I guess this blog will have to suffice for all my technology deficiencies. I have drug my husband down with me. He used to be a nerd (meaning he was with it with regards to technology but not fashion). He used to build computers and IM and all the like. This is an offer to him as well - to help me be a little more clued into today's world and get back into the technological world that he loves. I make no promises of wonderful and exciting blogs but only an alternative to people who REALLY don't want to start receiving annoying family newsletters from Ben, Shelby, and Khaki Jones. This is for people who would like to check in on us from time to time but that would become nauseous looking at my scrapbooks or those who simply live too far away now. We will be talking to you soon!